Latisse™ is a prescription ophthalmic medication used to enhance and increase the length of eyelashes. Many individuals are seeking longer eyelashes due to loss of eyelashes due to aging, eyelid diseases or to enhance cosmetic appearance. This solution is applied to the base of the upper eyelashes once daily to stimulate the growth of thicker and longer eyelashes. 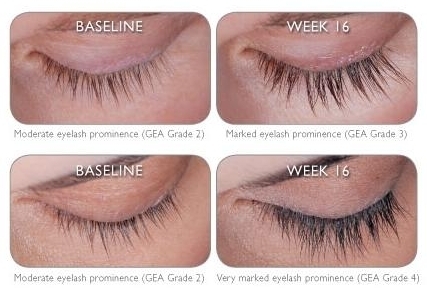 Patients typically report an increase in the number and length of eyelashes starting after about 1 month of daily instillation. The full results typically present after about 4 months. Latisse™ is generally a safe drug to use. The most common side effects include mild redness or itching around the eyelids. If you are interested in longer, fuller and thicker eyelashes call or visit our office for a consultation!